Inspect your equipment for preventive maintenance, installations or repairs. An inspection will deliver a large degree of detail and most often include manual labor with drone assistance for visuals from previously impossible perspectives. By combining drone technology with traditional tower service, Eagle Drones can provide a comprehensive report. Our audits are a type of inspection that focus on compliance as we examine factory processes and performance based on standards & specific guidelines. Audits are also independent 3rd party reviews as generally requested by cities or governance bodies over tower location. Such audits review records and activities to assess the adequacy of system controls, to ensure compliance with established policies and operational procedures, and to recommend necessary changes in controls, policies, or procedures. LIKE YOU'VE NEVER DONE BEFORE. 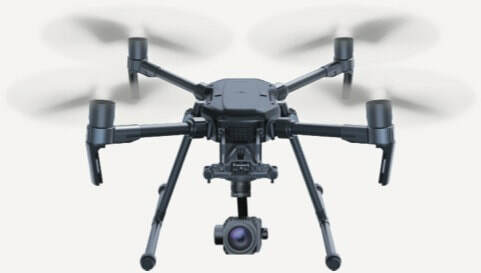 Eagle Drones combines the most advanced imaging technology with sophisticated private sector Drones to help you get the imaging you need to advance your work. From tower mapping and 3d Models, to safety inspection, from project exploration to nal review, you can do it all for a fraction of the price of other solutions. Increase your vision while decreasing your costs with Eagle Drones. Whether you are a Carrier, Turf Vendor, Municipality or End User we offer a variety of inspections, audits and surveys that can collect the data you need to make informed decisions about your tower maintenance. We also work with tower owners, land owners, equipment manufacturers, and engineering rms to ensure they have accurate information to make decisions regarding the location and upkeep of telecommunications towers. Your towers and networks will always be in need of maintenance and updates in order to meet the growing demands of increasingly more digital consumers. No longer do you need to send a climber up your tower to inspect, audit or survey your equipment. Eagle Drones can maintain your networks more safely and efficiently. 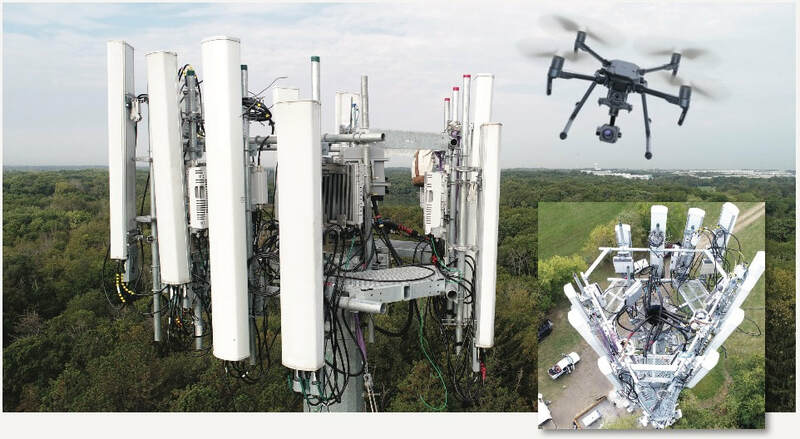 Crystal clear imagery as well as fltered imagery can help you more effectively inspect cell towers and lines in hard to reach areas. Avoid risk to workers by using Drones to explore the highest reaches of your infrastructure. Here is a little about what we can do for you. WHY USE UAVS OR DRONES? ▸ Safety: Access dangerous, hard to reach or hazardous areas without putting people or equipment at risk. ▸ Timeliness: Reduce the time from data collection to decision making. ▸ Accuracy: Data collected via drones is better than traditional collection methods. ▸ Quality Data: Archive volumes of images and/or videos documenting conditions at specific points in time. 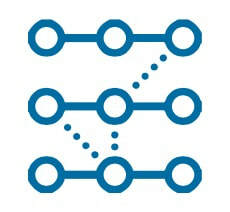 ▸ Data Archive: Aerial imaging provides data that is easily archived and readily available. ▸ Frequency: Gain access to more data points to enhance decision making. ▸ Cost Savings: Far less expensive than traditional data collection methods.